Britain was culturally diverse before it was even a nation. Centuries of migration and mobility can be seen in the landscape, in the fabric of cities and in the language, as well as in the polyglot DNA of the population. Museums, heritage associations and galleries conserve and curate artefacts which attest to this long-standing diversity, and entire academic disciplines are devoted to its exploration and interpretation. Yet today, questions of cultural diversity and of culture itself are, arguably, as unsettled as they have ever been, if not more so. 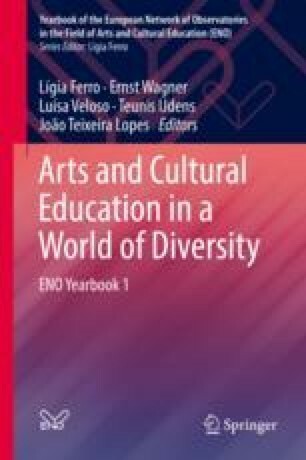 It is no surprise that arts educators and arts organisations are concerned with contemporary debates about cultural diversity, ethnicities, religion, immigration, mobility and Europe. However, enacting this commitment is both pressing and difficult. Against a backdrop of the increasing value of British creative industries, reducing secondary enrolments in England in arts subjects and reductions in primary arts curriculum, the mandatory teaching of ‘British values’ and elevated national security, artists and arts organisations and educators must now position their work in relation to multiple cultural and political agendas.